Jalang’o was a bright student, he scored 442 marks when he sat for Kenya Certificate of Primary Education (KCPE) and received a letter to join Maseno school. 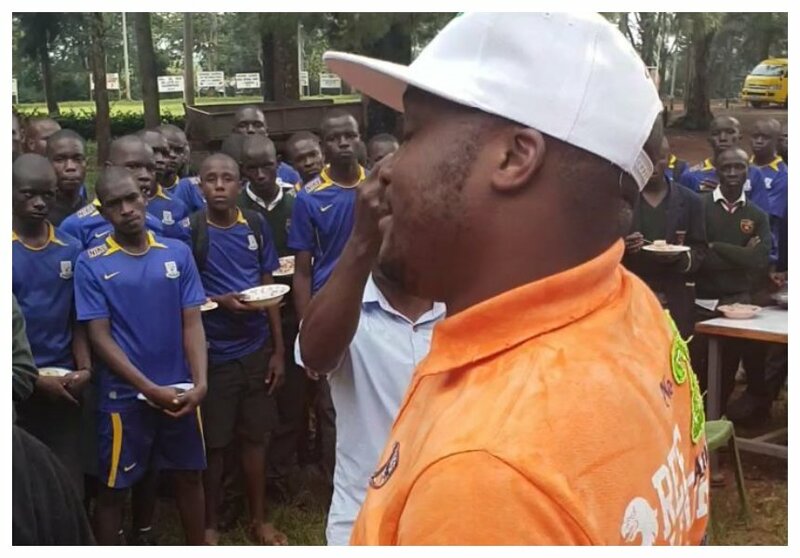 The comedian however didn’t join the prestigious national school, his father struggled to raise his school fees and by the time he got the money it was too late. “Maseno school…let me tell you a short story…When I sat for my KCPE I got a chance at Maseno school by luck because with 442 Marks I think I was lucky…I was soo happy just like everyone because a chance at Maseno school was all you needed! This dream was not to be! School fees was nowhere! My dad ( God Rest hi soul in peace) organised several fund drives and by the time he was getting the money I was two weeks late from reporting day!” Wrote Jalang’o in part. Jalang’o says his father earnestly pleaded with Maseno school principal to admit him to the school but he blatantly declined. The comedian says his father was heartbroken and couldn’t hold his tears back. “My chance was gone! We walked with my dad out of the school after hours of pleading to be allowed in, the principal refused! I had never seen my dad cry but that day we cried together! We walked to the main road got in a Marathi and went home! I later joined form one in a different school but with Maseno school uniform because my old man could not afford another pair! So for the whole of form one I was in a different uniform in a different school…to cut the long story short, today I was at Mseno school advising and giving wisdom to their class of 2018!